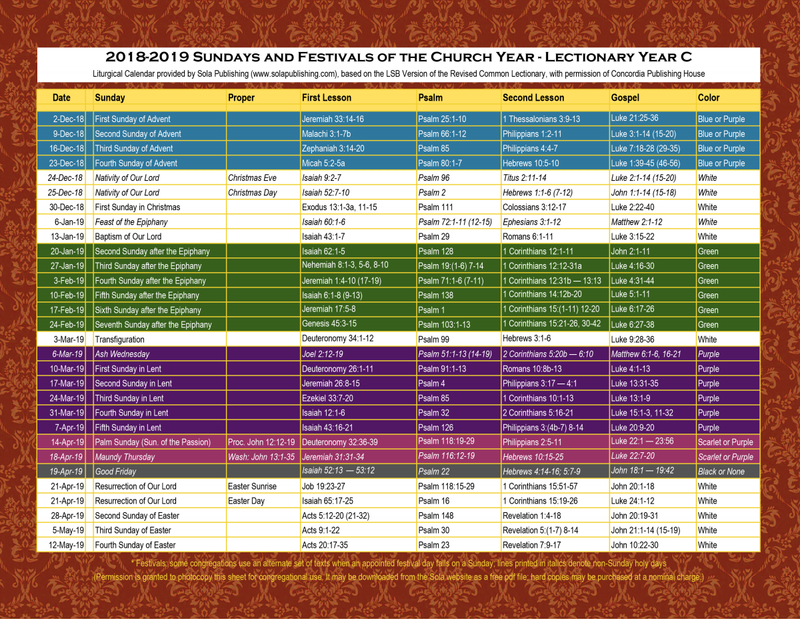 The Liturgical calendar charts the Scripture readings for each Sunday in the Church Year, with each Sunday printed in the proper liturgical color for easy reference. 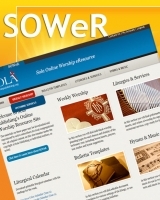 Sola Publishing recommends the use of the Revised Common Lectionary as found in the Lutheran Service Book (LSB) published by Concordia Publishing House, and makes use of this lectionary in its own Sola Online Worship eResource (SOWeR) website. 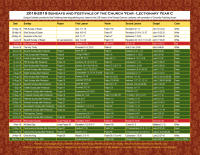 You can download a free color PDF file of the 2018-2019 Year C calendar HERE. Sola grants permission to reproduce this calendar for local use. 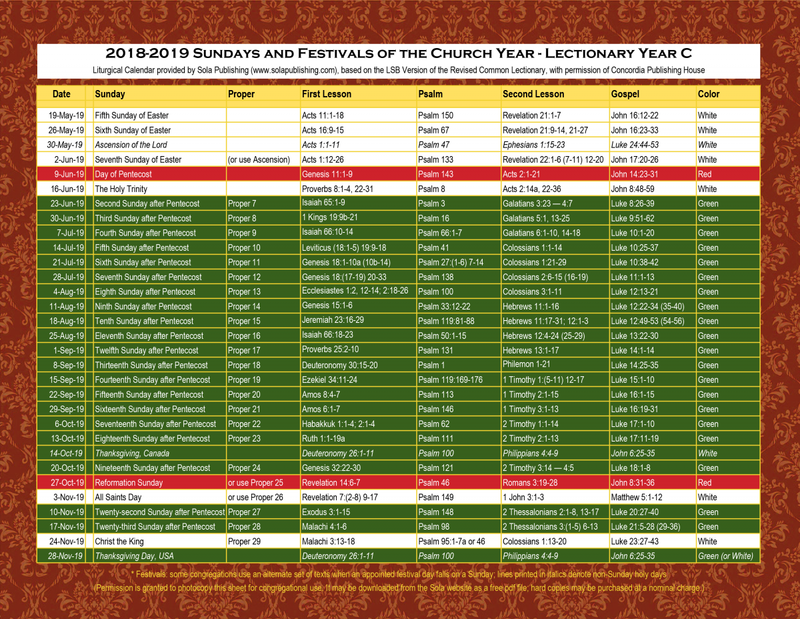 As a convenience, or for those who may not have access to a color printer, hard copies of the Sola Liturgical Calendar may be ordered on this page of the Sola Store (clicking the red "add to cart" button above). 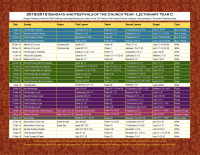 For each $1.00 purchase, you will receive a cardstock copy of the Color Calendar.